Last Monday we did Pillow Fight and PJ Night Club. 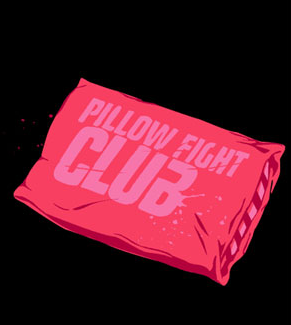 The key event was the pillow fight to start club. We bought about 25 pillows as extras from Savers/Goodwill just in case. Most kids brought their own. We went outside on the street, broke into two teams and lined up about 30 yards from each other. Then when the music started (O Fortuna… this song) we went at it. One kid sat out because he had a couple concussions due to football. You should check with your kids about safety. The rest of the club was a blast.